The dogs are the most important members of the hunt team. The harvesters rely on them to indicate where the mature truffles are. Once the dog has marked the spot, he or she is rewarded and the harvester then checks to make sure the truffle is ready to be harvested. The noses of the dogs and the harvesters have been trained to detect the level of aroma that tells them the truffle is ready. 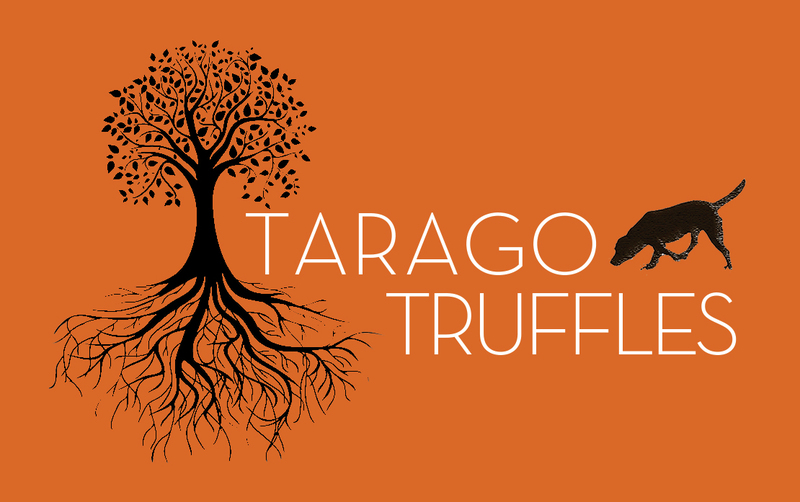 At Tarago Truffles the star is Dusty, a foxy precocious female brown kelpie. Sometimes Dusty’s best canine friend, Joker decides to join the hunt team. He is a handsome and thoughtful pure bred kelpie who loves to think he can outsmart Dusty! They are regularly joined by Solly and Pepper and their handler/harvester Gillian.